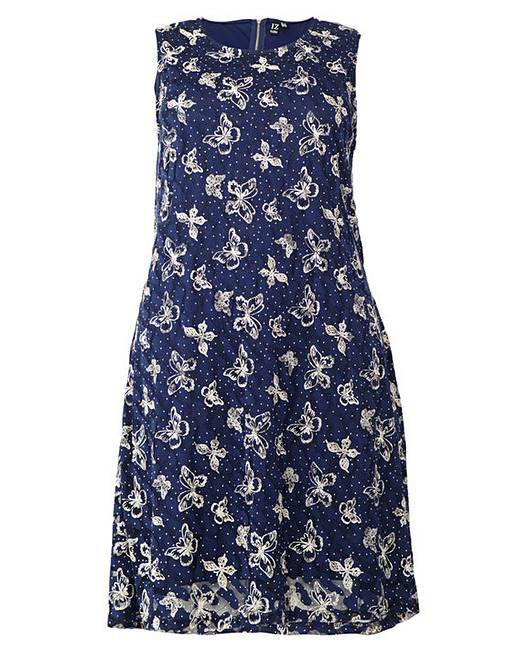 Go girly this season in this beautifully printed butterfly dress. 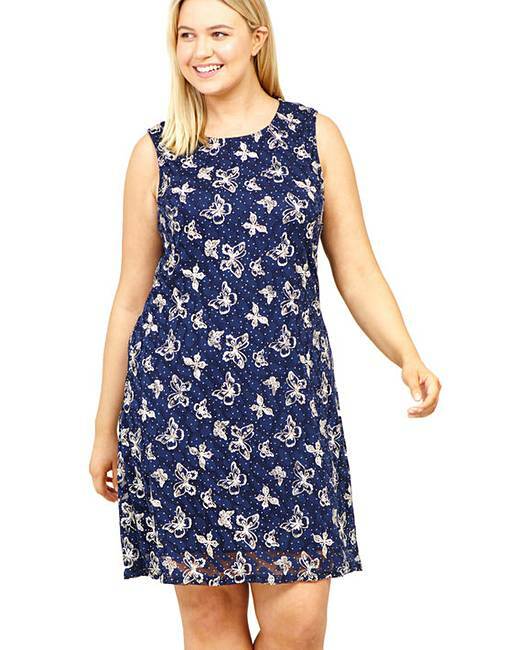 In a shift style with a round neck, sleeveless styling and lace overlay, it sits on the knee. 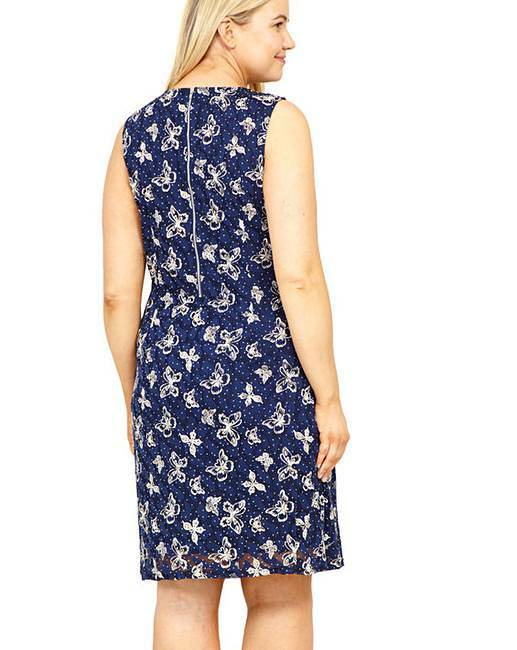 Wear with strappy sandals for girls day. Length 40inches. Model's height: 5'9/175.5cm. Model wears size 16.